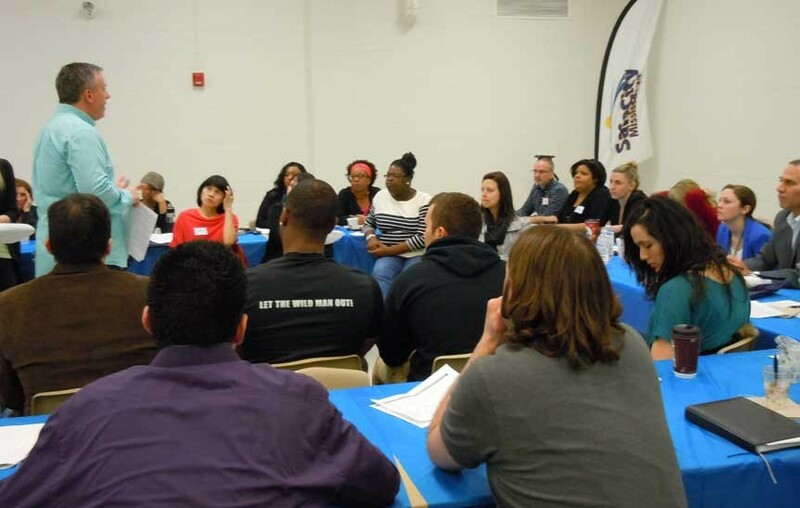 On March 27th and 28th, 2013, Safe City Mississauga, Brampton Safe City, Astwood Strategy Corporation and over 70 organizations in Peel came together at the Burnhamthorpe Community Centre & Library to discuss the youth gang situation in the Region of Peel. The two-day facilitation was based on the community and stakeholder feedback from the surveys that were distributed. The results of the surveys framed the themes for the facilitation. Key themes included: A. Consultation and Research B. Prevention and Intervention C. Education and Awareness D. Response and Strategy The two days consisted of notable speakers such as Leo Barbe from Think Don’t Shoot, Dwight Daley from Astwood Strategy Corporation, Wali ‘Flo’ Shah, Jabari Lindsay from the City of Toronto and Inspector Norman English from the Peel Regional Police.